It is something that I cannot avoid. Sometimes I feel an overwhelming need to reintroduce Birds of Steel in my Xbox 360 to enjoy one of their intense aerial combat, the beautiful sunsets of the scenarios and revel in the recreation of every one of the steel birds comprising its large hangar. 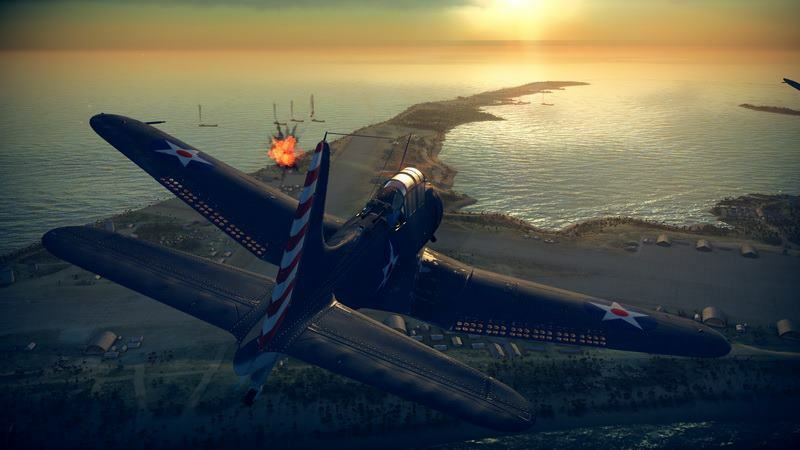 Air simulator Gaijin also has some orchestral melodies created by Russian composer Georgy Zheryakov, pieces that emerge heroism, courage and epic in abundance. Perfect for listening moments before takeoff and during a huge and exciting aerial battle. Hallmark of this game, which is also characterized by much care for each aspect of their sound section. Then enjoy the quality of “Battle Theme”, a treat for your ears.